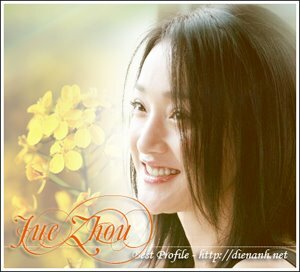 Lately, Zhou Xun is very busy with films. In 2009, her films 'Beggar So', 'Sound Of The Wind' etc will all premiere and she has become a high-visilibity spokesperson in the eyes of the manufacturers. Hence, she was invited to endorse Pantene shampoo, along with Da S, Lin Zhi Ling and mainland China model Du Juan. On the 21st, Zhou Xun, Da S, Lin Zhi Ling and Du Juan gathered together at the Beijing Zi Jin theatre. Da S expressed that she had previously interviewed Zhou Xun and her forthright attitude left a deep impression on her. Lin Zhi Ling smiled saying she hopes that in the future, all of them can collaborate in a film together. Zhou Xun agreed and said: "We each have our own beauty, if we put it all into one film, don't know what kind of result it will produce, definitely will be very interesting!" Zhou Xun revealed that lately, she is entangled in work. 'Beggar So' has just finished filming, and she has already invested herself into a new espionage film 'Sound Of The Wind.' The last time she has had an overseas vacation was a year and a half ago, she hopes that she can get she proper rest after Chinese New Year. This year, she is planning to have a relaxing holiday with her parents and grandmother. Boyfriend Li Da Qi has work commitments in America, so is unable to accompany her.